What can I say about Ronnie Shaw? Tough. Hardliner. Stubborn. Dedicated. Lifesaver. Without her, we wouldn’t have access to the Castle’s Armory. She knew enough about the Castle to get us there and that allowed us to rebuild the artillery batteries. 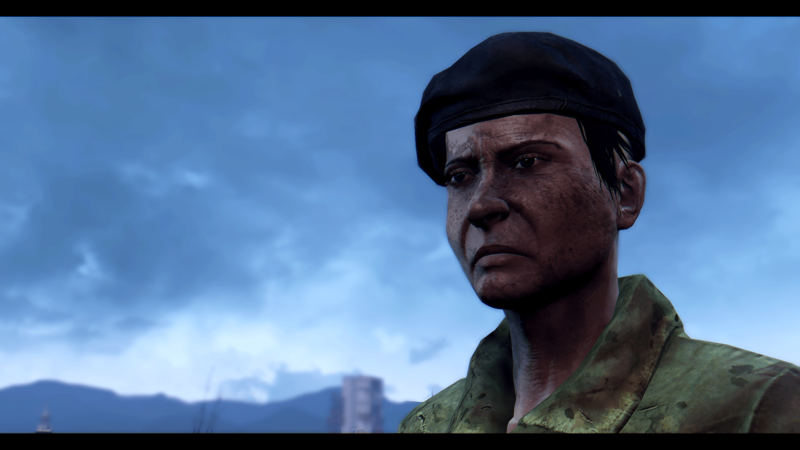 I hope the new Minutemen look up to her as much as I do. She’s got a lot she can teach them. Her very first thought after getting to the armory? How to best defend the Castle – by showing a new man how to use the artillery. She’s a unique woman. Not to mention, she had access to some very sweet gear – including my new laser sniper rifle and combat shotgun. Thank you Ronnie. Thank you.